As of January 23, we officially entered the Chinese New Year of the Dragon. 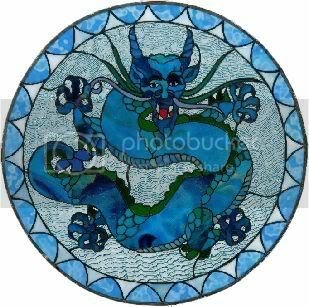 I don’t know a thing about Chinese Astrology but, the Year of the Dragon is fitting for my decision to “go without goals” in 2012. I chose to follow my intuition or what some people refer to as their “bliss,” instead of making resolutions this year. Following your intuition is known to attract “fortunate coincidences” such as synchronicity and serendipity into one’s life. So, the year of the Dragon is a perfect time to be following intuition. Setting numerous goals as I always had, was no longer working for me. While I was very productive in 2011 having written three books, I was also much too stressed out most of the time. I came upon the idea of “going without goals” after reading several of Leo Babauta’s articles on Zen Habits about his experience of letting go of goal setting. Leo had been a proponent of goal setting and productivity but, delving more deeply into Zen Buddhist principles and reading Lao Tzu, a Chinese philosopher, changed his outlook. “That I can do,” I thought. I can allow my bliss or that “childlike wonder” to lead me from project to project without setting goals. I realized that if there were something I felt drawn to do, that made feel joyous, full of enthusiasm and excitement that it was my intuition or bliss telling me to “go for it!” Whether I called that pull a “goal” or not it really didn’t matter. All that mattered was that I allow that “feeling” of enthusiasm and joy to direct me from one project to the next. Leo made yet another excellent point that convinced me that following my intuition rather that goal setting was right for me. He pointed out that if we are too rigid we might miss out on other opportunities because we are so focused on completing this narrow set of goals. Having experienced this in the past I knew it to be true. I would zero in doing X, Y and Z but, if A arose I would turn it down because I was so committed to these other goals. Who knows where these other opportunities might have led had I not turned them down? I am determined not to let that happen again. So how has the process been working so far? I feel so much less stress. The idea that every day I am doing what I’m led to do rather than what I “must” do has changed my reaction. I may be doing the very same things I was doing last year but, I feel much more relaxed about them. I used to open my in box and go through my email first thing in the morning. I thought that if I got the job of responding to emails out of the way it would leave me time to focus on creating/writing new articles. This never happened though. Instead one email led me to the next thing and the next thing and, before I knew it half a day had gone by without my having written one word. Now I write first thing in the morning – no matter how many emails I have. This is always what I wanted to do in the first place but, I became to rigid. Having this list of things to do: “Go through in-box” totally messed with my creative output. I write best in the mornings and I’ve always known this. My mind is clear and full of ideas. Waiting until later in the day was making it feel like a grind to write. I’m happier! I feel so excited about what I’m doing. The fun is back. I don’t approach my work as a “chore.” And that has made all the difference. I’m confident that my happier frame of mind is due to being free of goals. I find the day goes farther. I don’t feel stressed and rushed like I did in the past. This makes me feel that I have “enough” time to complete everything I’m working on whereas in the past I felt that I never had enough time. My fears of being unproductive were unfounded. I’m just as productive as I was before but, without all the stress. It’s wonderful. If I do become more productive than I have been in the past it will be because I no longer multitask. I now focus on doing only one thing at a time. We are only three weeks into the new year and already going without goals has made a huge difference in reducing my stress levels and upping my enjoyment. I’m looking forward to all the “unpredictable” fortunate coincidences that are to come now that I’m following my intuition and not rigidly stuck on certain goals. I was over insured in my property insurance. No need for reinsurance. I received a refund! Navigating by Intuition has been a best seller in its category on Amazon for several weeks! Let’s see what 90 days of going without goals brings. I urge you to try letting go of your goals in favor of following where your intuition leads you to as well. Did you make resolutions this year? How have you done so far? Would you consider trying this experiment of going without goals with me? P.S. Don’t miss a thing! Sign up to have Powered by Intuition updates and newsletter delivered right to your in-box. There’s always a reason why I’m drawn here. Angela: This is the second time I am reading this post because I know I need to hear this message from you:) I think one of the most amazing things we can do is find our way to trusting whatever comes our way and opening ourselves up to the wisdom in uncertainty … now, of course I say that, but I am still a work in progress when it comes to letting go of goals:) I love hearing how it worked out for you. Thanks for sharing. I love that you read this twice! Believe me – I’m not free of my addiction to making goals and lists yet. It’s a hard habit to break. I made a list on Saturday and when I saw all the things I had yet to complete I completely froze! I realized why it was better for me not to make lists. Instead of working on things I wasted half the day and then only got a few things done. No more lists! The list creates too much stress for me. When I stopped making lists I was getting things done and not feeling bad about what I hadn’t done. I’m glad you’re looking into the possibility of freeing yourself from goals too. Hi Angela — yes, I think it can be scary to give up the need to always be pursuing a consistent goal, and open ourselves up to the possibility that what we desire can actually change from month to month or moment to moment. But ultimately it feels better to be aligned with what I actually want, as opposed to trudging ahead on one particular path just because I’ve been on it for a while and it’s familiar. You have written the exact words I’ve been thinking. I’ve been contemplating blogging only once per week so that I can concentrate more on writing books…. Being free of the goal that I “must” blog 2 – 3x per week allows me to rethink why I’m doing what I’m doing. Thank you so much fro visiting and commenting. It is always such a pleasure to have you visit and share your viewpoint here. I am glad that following this non-schedule is already reaping some rewards for you! LOL~! I hear you about the dishes. I’m not saying I’m 100 percent converted yet. I still do all my chores and have a heavy dose of “perfectionism” that still drives me. But, I’m so much better. The biggest changes is feeling less stressed out. Last night I fell into my old habit of making a list for what I “needed” to do today. Looking at those 7 things – freaked me out – again! So, what happens? I procrastinate until 1 pm. Now, I’ll never get all of it done. I have to STOP making lists…. I’ve been thinking about you and wondering how you’re doing with this, so thanks for the update. I’m happy that it’s working for you, as it sounds like it’s been a positive new perspective. Yay! And I love your analogy of the year of the dragon to this way of living. In Jyotish, the dragon is a form of serpent, and they are by nature quite instinctive (and intuitive). Primal. Sounds intriguing right there, doesn’t it? This sounds very intriguing for sure! Sounds like the year of the dragon/snake is going to be quite interesting. I’m doing well primarily because my stress levels are down. I’m not looking at long lists everyday and getting frustrated as to why I can complete 10 things in one day! I’m not saying I don’t have a desire to do things ’cause I do. It’s just that I follow my desires now rather than a list of things to do. I hope your year is intriguing too! What a lovely post. I too have struggled with letting go of goals, and still knowing what it is I want to create for my life. I’ve begun to find a balance by discovering those things that make my heart smile (your bliss), adding them to my daily life, and then allowing to unfold whatever it is that I’ve set in motion. I’ve found that to release goals from my life, is to release the expectation that I “know” what each step along my road will be, and how everything will turn out when I add those things that make my heart smile. It’s about letting go of the need, or notion, that I “know” what my future will be. I don’t know what I will find along the road of my life. I don’t know the number of steps I will take, or when the vision that I hold within will become my reality, if it will change, or if in fact it will ever come to pass. But what I do know is that every road I’ve taken has leads me to the same destination…me. So wherever I am, whatever form my life takes in this moment I know, wherever I am led, I trust it is exactly where and who I am supposed to be. Best wishes for releasing those goals! ? This was beautiful. I couldn’t have put it better myself. I especially liked what you said here: release the expectation that I “know” what each step along my road will be, and how everything will turn out when I add those things that make my heart smile. It’s about letting go of the need, or notion, that I “know” what my future will be. I think if we follow our intuition our future will unfold before us in the way of “least resistance.” We will be in the “flow” of life rather than trying to paddle upstream against the current. This alone lends itself to a calmer and more enjoyable existence. I like the idea of not knowing what is around the corner – it could be anything and that really excites me! Very inspiring. And I see it working for personal accomplishment. But I wonder how this works in business? Good question. I would imagine this would be harder to implement in business. The only way I could see it working is if you have an overall goal and then allow employees to work on different aspects of it that they are drawn to and which correspond with their talents. Dear Angela, Finally someone who agrees with my point of view of not having too many rigid goals! I go with my own pace, my own time, no pressure! Leo Babauta’s Zen philosophy is spot-on. Really? How fabulous. I’m so glad you already follow this amazing philosophy. No pressure is the one thing I’m most happy about. I feel reborn! Very thought provoking. My main goal is to be happy and cherish, while learning through the various experiences I have the joy to go through. I enjoy life everyday through my 14-year old son and my loving family and friends. I do have some goals, but they’re more like life-goals I am in the process of accomplishing. Obviously they need planning to reach them. I just enjoy the process because I know what to do – and in this process,I am appreciating the connections I make on a daily basis and the people who make a difference in my life. Oh yes, I have dreams 🙂 and I am reaching out to them. Special thanks due to you; I’ve enjoyed being connected to you for more than a year now. I have enjoyed getting to know you too. I think getting to meet so many wonderful people from around the world is the true joy of blogging! As I said in my comment to Aileen – it’s not that I have no desires to do things – I do. I just don’t write them down in long list and call them goals. This allows me to be flexible. If tomorrow I were to change my mind about blogging I could stop and not feel I was a “quitter” because I changed my mind about blogging. Going without goals allows me to be open to the “now.” If something pops up that captivates and inspires me I can do it without feeling I have to postpone it because I have this big long list of goals I must accomplish first. I follow my inspiration on a daily basis now rather than what is on a list. 🙂 I can identify with what you’re saying. What a beautiful thought! Thank you – it is indeed important to feel good about everything we do, and also the things we don’t. I’m getting better at managing my time without goals. I really hear what you’re saying and I’m trying to try this out too, but goal setting is so deeply ingrained in me that I start setting them again. I know this is going to be awesome year for you and I really look forward to hearing how this year of total intuition without traditional goal setting unfolds. I feel like it’s brilliant, now if I could just stop setting goals long enough to experience this! I read a book years ago (I wrote a post about this) where this woman followed her intuition for everything she did and she ended up in her dream life married to her dream guy! I think I must have read that book in 1988 and ever since I wanted to do it but I was too chicken to let go of my “goals.” Having no goals doesn’t mean there aren’t things you want to do. It means you allow yourself to be pulled from within by the yearning to do something rather than by a bunch of things on a list. The things you are pulled to do may be the very same things on the list but its a more of a way of being. Do you see the difference? Angela, I like the idea of following intuition rather than making a bunch of goals. I do make an “ultimate” goal list – the top things I want to achieve in life, but I have really focused on being less driven by competition and more driven by creating what I want in life. Following intuition. And I am finding those “fortunate coincidences” every day! Great post! That’s so awesome that you too are following your intuition. I too have overall goals I want to achieve in my life but I’m open to something better too. Fortunate coincidences that reshape the path we’re on – so wonderful. I don’t like competition and have always shied away from it. Everything I do is because I want to see how well I can do not, because I want to compare myself to others. I did not set any goals for this year. I have read Leo’s posts about non goal setting and it does make sense. I do like to look at the big picture and have a general idea of where I’m going, but leave everyday open to a new opportunity that might come my way. I also can get very sidetracked on the email. I need to write first thing and try and check my email in the afternoon. Thanks for inspiring me to follow my instincts. Congrats on your year. It sounds like you are off to a good start! Take care. How is it going for you not having goals this year Cathy? I liken what you call “looking at the big picture” to what I call having a vision for my life. I’m glad you leave everyday open for new opportunities too. Email!!! The bane of my existence. I hear you. That’s so beautiful! I’m so glad you shared this. I do feel different but, obviously your pets, family and friends have really picked up on it. What a wonderful affirmation of the power of being present and enjoying what one is doing. Thank you so much for visiting and commenting. I loved hearing about your experience with going without goals. I have long given up on setting rigid goals. They don’t work for me. I would end up feeling more miserable. What I do now is set an overall vision for the year and while I do some planning, I build in flexibility. This allows me to take breaks whenever I need them. I seldom become de-motivated because I am still reminded by my overall vision. Like you, I work best in the mornings. Sometimes I don’t check my inbox until later part of the day. I always like to spend the first part of my day in meditation, inspiration, creativity and flow. It sets my mood for the entire day. Great idea to live inspiredly! Yes, I too think your idea of creating a vision for our lives is much better than a rigid set of goals. I can see myself living somewhere with a beautiful view of nature and writing in the mornings while I look out this window at nature. That’s my vision. Some might call it a goal but, honestly, I don’t think it matters what we call “it.” It’s about not being so rigidly tied to this list. I like the feeling of being free to change and free to be spontaneous. It’s the kind of life I always envisioned for myself. I want to travel to Singapore so we can see the sun come up together Evelyn! If I’m too rigid about sticking to these goals I might pass up the opportunity to do it! Angela: Thanks for the post and information. I have always been curious to hear how not having goals really plays out in everyday life. I also read Leo’s recommendation to let them go, but I had many of the same concerns you shared that you initially had. I can see though how kind of just letting go allows you to really experience the moment and let things unfold perfectly. I have always been a fan of letting go and trusting and I can now see from your story that is exactly what going without goals allows you to do. Interesting…thanks for giving me some food for thought:) Great post. Yes, that’s the secret – letting go. I feel that now my life is more open to other opportunities too. My head isn’t buried in this long “to-do” list. It’s another way of showing that we “trust” that the Universe is unfolding everything in a perfect way at the perfect time for our good. Going without goals leaves you “wiggle room” in life to follow your inspiration and not be “bound” to something that you’re no longer excited about doing. I wouldn’t say I have no grand vision for my life – I do want to accomplish certain things but, I”m not “bound” to them anymore like I was in the past. I focus on the things I’m “called” to do because I’m inspired to do them. If that “calling” changes I allow myself to go with it. That’s the difference. I still have work I have to do each day – chores, etc., so you could call those goals I guess but, they no longer go on big long list that stresses me out every day. Hmm, I have to confess I’m not quite clear on what having no goals means. I mean, isn’t everything you do based on the goal to have done that thing? Otherwise wouldn’t you just do nothing? I really don’t understand it, I guess. I can definitely see why writing in the morning is better for you, but don’t you still have the goal to accomplish some writing each day, and I assume get around to your email eventually? I see goals as just a way to lead me through my days and make sure I get the most important two or three things done, so that I make some sort of measurable progress with my life. If I only did things that caused me bliss, then many of the non-blissful mundanities of life would not get accomplished, and things would get chaotic around my house pretty quickly. I also chose a word for this year, which I blogged about recently. I do find that to be a very useful guidepost on a day-to-day basis. What a pleasure it is to have you visit. Welcome to Powered by Intuition. You’re not being obtuse at all and please don’t apologize. I can totally see your point. I felt the same way too. What happened to me was that I got a lot done but, I was so stressed out doing that I wasn’t enjoying my life from moment to moment. It was just a series of “getting this done so I could get to the next thing on my list.” It’s not that I wanted my productivity to go down – I wanted my stress levels to go down. Now that I’m “going without goals” I no longer make big “to-do” lists and that has made all the difference. I didn’t make resolutions this year. I know that I want to publish another book this year. Wanting to do it is different than setting a goal or having it on a “to-do” list. I focus on what I “want” to do but, I still do regular chores too – I just don’t put those things on a list anymore. Without the formal “list of goals” – I’m free of the stress of facing a long list and what before had locked me in to one narrow path. If someone came to me and offered my own radio show about developing intuition and I was locked into my goal of publishing another book – I’d miss out on this opportunity. It leaves me free to focus on what “inspires” me from day to day. I would say the difference is that now I have a “vision” for my life that is more open to different opportunities. Yes it does, thank you. I’m happy to say that I think I’m already more or less living that way – I do make lists of things I’d like to do, and I do have a general goal or two in mind, but I’ve always been more than happy to change them if signs indicate I should. I look forward to the Universe’s lovely surprises! I love that you already follow this philosophy regarding goals. I also loved what you had to say here: happy to change them if signs indicate I should. I look forward to the Universe’s lovely surprises! Thank you so much for coming by and commenting. It’s a pleasure to have you visit. Your words come at such a good time. It is easy to be hijacked by things you think you have to do. Although I continue to work hard on staying in the moment, not being pressured, and operating with minimal goals, sometimes I get off course. Thanks to The Habit Course last spring (Leo,Barry,and Katie), it really helped me to establish a routine where I didn’t even get close to my computer until 11am. I love that you wrote about this….your energy is rich and optimistic. I’m so glad you have already developed this wonderful habit of not going near your computer until after 11 am. I never realized how addicted I was to my email until I had to discipline myself not to open it! Before 2007 I wrote everything in a notebook. There were no distractions – it was just me and my pen and pad. After I started writing on a computer and getting so heavily involved in the internet that peace of mind started to dwindle. Computers are wonderful but they have also become a huge distraction – its just as bad as having the television on all the time! I’m so glad you enjoyed this post. Thank you so much for visiting and commenting too. Ooooh! I like it! I like to follow my inspiration on a day to day basis, but I do have an outline for my day of some sorts. You’re making me think about taking a more inspirational approach to my days. I like the part about being more creatively free – I think being able to run with our creativity is important, and I too find it easier to write in the morning as I wake up with tons of things to write about and they dwindle into nothingness by the end of the day. I’m so pleased to meet you. Welcome to Powered by Intuition. It seems that everyone I’ve read about who has taken Leo’s advice on no goals has the same wonderful results. Instead of big goals for the year, I’m working with daily goals and ways of being. Unfortunately I still have deadlines for work that I have to work with so going with the flow isn’t a complete possibility – yet. The more I read about results like yours, the more I feel like I’m missing something in Leo’s message. I’ve read his many writings about no goals and feel like I’m still not getting it. Maybe I’m resisting too much change from my old, goal-focused ways. I definitely want to live with less stress and more time and productivity. Did you listen to the interview? He explains it so well there. I always always wanted to live by following my intuition from day to day but, the notion of “no goals” was new for me too. I couldn’t wrap my head around it until I spoke with him. When he said to live the way a child lives- they just “enjoy” whatever it is they are doing, it all clicked for me. Whether you set goals or not – to live in the moment with “childlike wonder” is the key to reducing stress. I still have an overall vision for how I want my life to be – if someone wants to argue with me and call that a goal, fine. What has changed is I didn’t set big resolutions this year and I’m not making lengthy lists in the morning – and everything get done! Try it or listen to the interview to see if it helps you to get clearer. Thanks for sharing your personal stories and inspiring us – I too am now writing first thing in the morning without my time being hijacked by my in-box. And what a difference it’s made! Great news about the success of your book – congratulations and keep it up! Thank you! I’m very excited about my book doing so well. I hope my next one on Amazon does as well too. I love how you put that we are “hijacked by our in-boxes.” So true that’s exactly what it feels like too. The other morning the words came pouring out of me and it reminded me of why I started blogging – to write like that! Good luck on your juice fast! Excellent way to state it. It seems I’m getting more done but in a much different way. Of course everything changes when there is a shift in the way one looks at things in the minds’ eye! I also have started writing first thing in the morning rather than looking at e-mail or FB. It’s a wonderful practice I picked up while participating in the Habits Course done by Leo. It is wonderful to write first thing in the morning. I don’t know why I pushed myself to do all these other things when this is what I wanted all along. All productivity experts tell us to not open email first thing in the morning, right? Finally, it has sunk in. I’m glad you’ve found this helpful too. Congrats on the book, BTW! Thank you for sharing your own experience and all that you’ve gathered from Leo Babauta. I’ve decided to be open and receptive too this year, Angela. My main word for the year is:create. It leaves with with a myriad opportunities to explore and do whatever I really love to do. Wishing you much joy in your journey in the year of the Dragon! I love the word you’ve chosen for 2012: Create! I was going to also choose a word but, I thought it might limit my thinking in that direction. I want to experience the vast opportunities the Universe has to offer with no limits! What if “creating” is too limited? What if you’re meant to travel in 2012? Or, to become a speaker based on what you’ve created already? You see what I mean? I’m only using your word as an example for myself, not for you. Thank you so much for visiting and commenting Corinne. It’s a pleasure to get to know you.